A staple of sports competitions, leaderboards keep spectators, coaches, and competitors informed. But they’re more than just information. They also boost players’ performance through motivation, inspiring them to dig deep both mentally and physically. Sales teams also benefit from leaderboards. A well-designed sales leaderboard shows the team’s targets and keeps track of each member’s performance. The team members and the sales manager can see how everyone is measuring up relative to the goal and to each other. Businesses are recognizing the benefits of gamification, and sales leaderboards are becoming more popular. 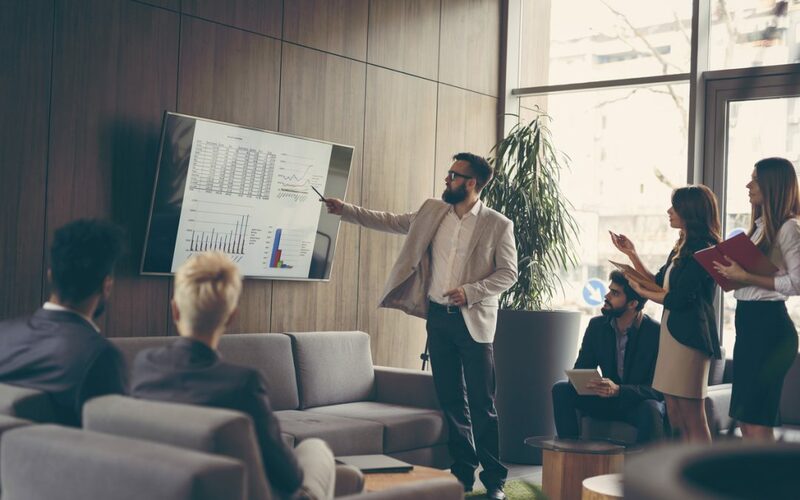 The strategic thinking, competition, and accountability that come from leaderboards can have huge benefits in a sales environment. Sales is often compared to sports, and with good reason. Successful sales reps and successful athletes have a lot in common. They’re naturally competitive and results-driven. Real-time progress tracking can boost productivity. A combination of healthy competition and team spirit improves morale. Real-time reporting allows real-time decisions. Managers can redirect resources or rework strategies without having to wait for reports. Tracking multiple KPIs keeps sales reps accountable for both process and results. Visible success proves that the organization’s process works, instilling a sense of ownership among team members. Most sales managers want to keep their teams accountable to improve performance. They also want to help their team members buy into the sales process and keep morale up. The right leaderboard can help with each of these goals. Leaderboards can be created with data from the CRM. If you track data such as prospects, leads, new customers, repeat business, and sales totals, you can create reports in your CRM that reflect these numbers and your targets. The leaderboard can incorporate that data, displaying the numbers and custom visualizations for easy viewing and comprehension. A specialized leaderboard app can help with building the leaderboard and synching the data, or the leaderboard can be created manually. What is your office dynamic? You have several options when it comes to pitting sales reps against one another in competition. You can have every rep ranked on the board or include just the top few performers. Before you decide, consider whether having a sales rep listed in last place will help or hurt performance. Transparency is good for sales teams, but only if it’s not harmful to morale. Consider various individual and team combinations to get the most out of your sales team. Will you include real-time news? Receiving a notification about a new success can be motivating for everyone. Some sales teams choose to incorporate recent news on their leaderboards. When sales reps see an alert that their colleague has reached a goal, they gain renewed motivation. Audible alerts can easily bump up the energy level in a sales department. To display your leaderboard properly, you’ll need your dashboard software, a television monitor, and a device that is capable of using wireless display (such as a laptop, tablet, or smartphone). Even if you’re using high-definition graphics and real-time computing, the leaderboard can be sent wirelessly to the monitor. Simply plug a screen mirroring device into the display’s HDMI input to effortlessly send your leaderboard to any television or computer monitor. Many small to medium businesses (and enterprises for that matter) are turning to the MyWirelessTV solutions as an extremely cost effective, easy to use solution for mirroring a sales leaderboard to a monitor in the office. Sales reps are competitive by nature, and gamification efforts such as in-office sales leaderboards encourage them to excel. Leaderboards can be designed to encourage competition among individual reps, enhance teamwork, or both. They can also provide a visual representation of past success and increase buy-in. Motivation and morale are critical in sales, and a leaderboard can help with both, improving individual and team performance. Fortunately, it’s not hard to set up a leaderboard that can be viewed throughout the office.